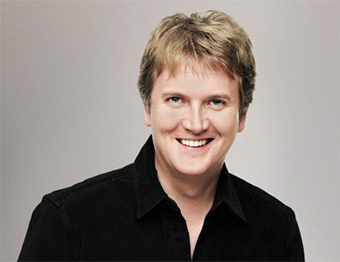 BELIEVE it or not, Aled Jones’ new album, The Heart Of It All, is his 30th in as many years. A true survivor of child stardom, it means he has now released more albums than Madonna, Bon Jovi and AC/DC, and he’s closing in on Black Sabbath’s total of 33! The Heart Of It All is a far cry from the Welsh boy chorister with the pudding-bowl haircut and the voice of an angel who took Walking in the Air into the top five back in 1985. Instead, Aled is returning to the Welsh folk songs he grew up with and it pays tribute to some of the biggest songs of his career and reaches into the future by pairing him with some of Britain’s most revered young folk artists. “This is the record I’ve always wanted to make as a man,” says Aled. “Sometimes you have to earn your way into songs and actually live the experience it takes to put them across. “This is very much ‘rootsier’ than anything I’ve done before, but then Welsh folk songs were all around me growing up as a boy. American singer songwriter Nell Bryden guests on Morning Has Broken, while Irish flute and tin whistle maestro Michael McGoldrick features throughout, and Gaelic singer Julie Fowlis sings on a version of Joni Mitchell’s Both Sides Now. ALED JONES will sing songs from The Heart Of It All as well as old favourites when he appears at G Live in Guildford on Thursday March 12.